Couldn’t resist a bit of a look around. This won’t be news for everyone, some have obviously had an opportunity to shop there already. Some of us haven’t! 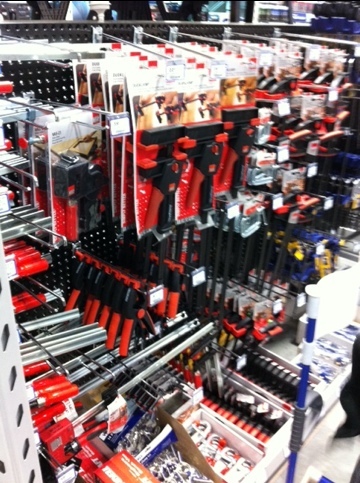 Racks and racks of tools. 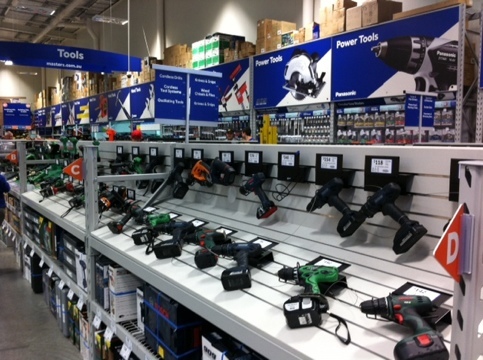 A bit of range: 909, xtreme, Hitachi, Panasonic, Bosch, Worx. Some interesting relationships right there. 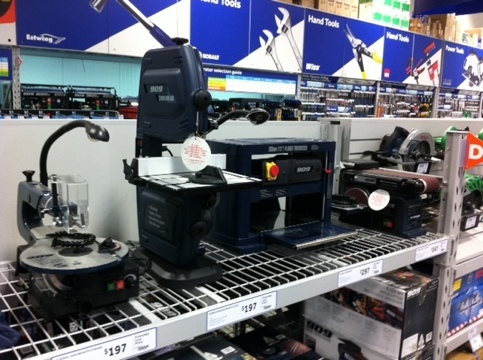 909 is pretty much identical to old GMC tools, same mouldings, same everything, different name. Xtreme according to one of the staff is the budget range from Worx. 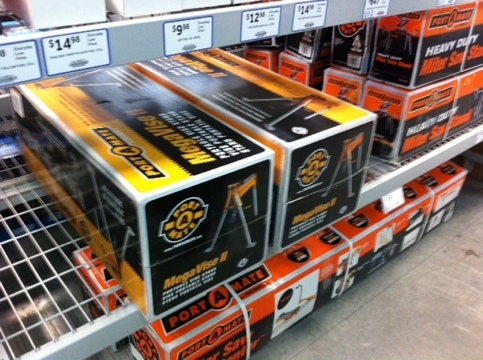 Now Worx is owned by Positec, who also own Rockwell, and Rockwell is the budget version (in Australia). 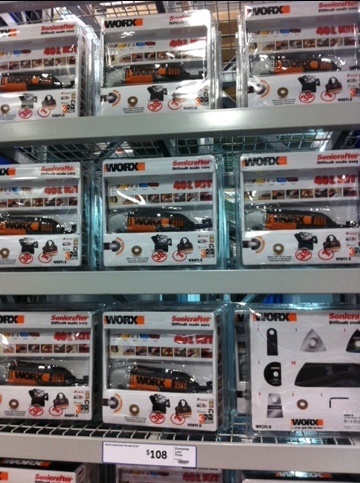 Worx Pro is the premium range (and is called Rockwell in overseas stores). So where does Xtreme fit in? Confused? Me too. 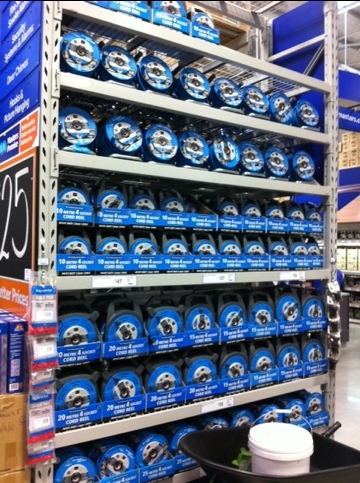 A whole wall of Sonicrafters. Back to my discussion: another tool I saw is called the iDrill. In white or black. Rather Apple-like. But it is a drill people! Had a quick look at it, and took the battery out. Now that is interesting- a very familiar battery shape. Looks the same as my Rockwell Li-Ion range of tools. Wonder if that is a Positec tool as well? And good to see I can get some reasonable Bessey clamps from more than one source down under. It was really interesting to see some very familiar GMC tools again, now under a 909 brand. The relatively low cost (at the time) GMC thicknesser really opened some interesting new woodworking doors for me back in its time. And yet another version of the Triton Superjaws. Boy did GMC really stuff up not maintaining that international patent. There were shopping trolleys that looked like racecars, motorised scooters for those tired of walking, but I really found interesting was this rack of plastic. 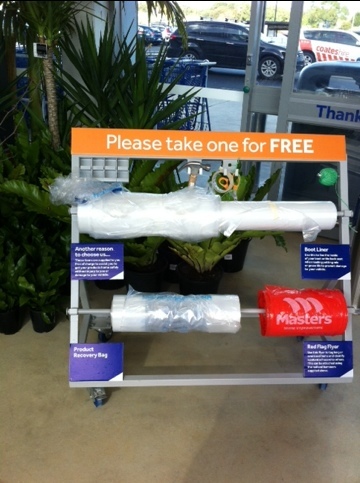 Wrap your project for transportation, line your boot. All really simple, neat touches. 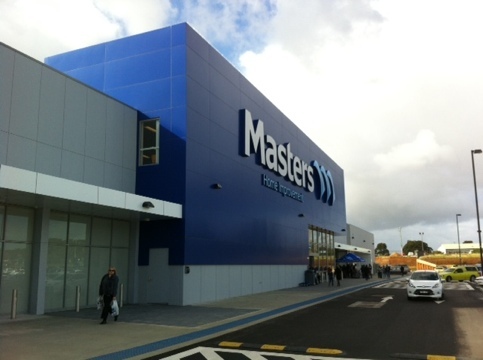 Got one opening 400m from my place, looking for to it. Did you manage to see what the timber selection is like? I also have one coming locally (perhaps 800m). The traffic around the place was unbelievable which is a bit concerning. Timber selection looked rather ordinary aka same as Bunnings. 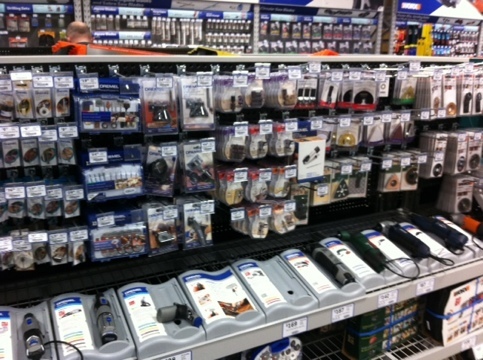 Perhaps better selection if you are an owner-builder, but nothing for woodworkers.